Airbnb has launched a new feature that will help ease that tension. After running tests on the feature earlier in the year, you can now split a bill. When you request a home that allows split payments, it will be put on hold until the bill is paid in full. Each member of the group, which can include up to 16 people, has 72 hours to pay their share. If the bill is not paid on time, the hold is removed. Refunds are then issued to the group members who aren't lazy good-for-nothings. Though, one member can pay someone else's portion to ensure the trip doesn't fall apart before it even starts. The company says over the last few years, "one of the top [traveler requests] was a group payment method." 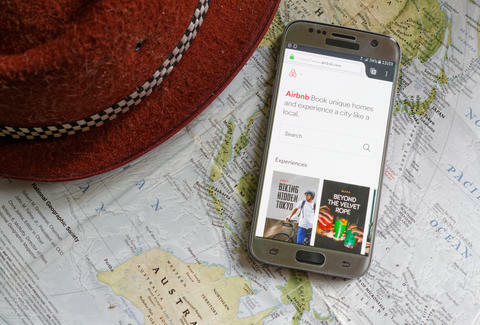 After acquiring the social payment company Tilt in the spring, Airbnb is now able to implement the feature globally. However, not every rental will have the option to be booked this way. Nonetheless, the feature will make traveling with a group much easier when the organizer isn't fronting $1,000 and hounding friends to pay up. With no one fronting money, it might even allow you to go after something a little nicer.